This is a die-cut flange Butagaz Butane porcelain sign. 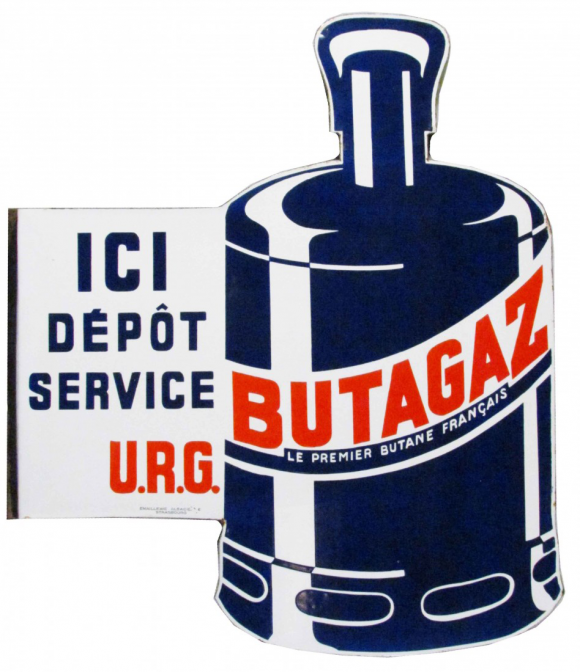 This particular Butagaz Butane sign features a blue canister with red text. It reads, “ICI Depot Service, U.R.G., Butagaz Le Premier Butane Francais”.